what are the bubble snakes dimensions? what are the brew bag dimensions? Is compost tea safe to use on young seedlings? Yes! Seedlings benefit from rich microorganisms in the soil. You can use tea to water in seeds, and they will thank you. Consider seeds in nature - lots of microbes out there helping out. In fact, seed soaking with compost tea prior to planting is a relatively common procedure. You can also do it with any microbial inoculant as well. I have a bed I want to prepare for next seasons planting. Is it beneficial to use tea in the soil now, without any plants? Yes! Use compost tea to prepare soil for future planting by lightly spraying and turning in the amendments. Don’t soak the soil. I typically start my rooted plants in 4" pots of coco coir, before transplanting to soil. Would the compost tea work on the 4" in coco? Would the tea supply them with all necessary nutrients, or would I need to supplement with additional hydro fertilizer? Tea works well with coco, it will give the coco the life it lacks. Tea has a small amount of nutrition, but not enough for sustained growth. We recommend adding some worm castings to the coco, 10% or so by volume. Combined with tea, you will be able to grow in the 4’s for several weeks. When you transplant to the next size up, you will want a richer soil, built up with a variety of amendments. What is the difference between EZ Tea and compost tea? Our EZ Tea kits are for a quick tea, not a true compost tea. They make a great tea with 20 or so species of microbes that have specific nutrition/plant health related jobs. A true compost tea has thousands of species, and is going to help with creating a living soil system that supports plant growth, nutrient cycling, and other factors that create a robust, living soil. The reason we make the EZ Tea Kits is because sometimes people do not have access to good compost, so this is a cost-efficient way to do a very good job. For making tea, should I use well water or RO water? RO water is not ideal for tea. The microbes need solubilized minerals to grow. Well water would be the better option. I would recommend getting a water test to ensure you water’s pH, salinity, and mineral levels are not too high. What should the water pH be for making tea? A pH of 6.5-7.5 is ideal. We sell “teaH Down” to lower the pH. More often than not, high pH is the issue. When brewing tea with the LifeCube mix should i add some inoculate to the brew? A little dash of Soil Life at the end is good, just before you water. It is already in our compost blend, so no need to brew with it. Can I use Neptunes Harvest hydrolyzed fish fertilizer as the fish hydrolysate? Yes. Use 16 oz. per 50-gallon brew. How often do I apply the tea? Apply the tea about once a week. For newly established gardens a heavy inoculation of microbes will really get things going. Dilute anywhere from full strength to 1 gallon of tea to 20 gallons of water. I think the 1 gallon of tea to 5-10 gallons of water is the sweet spot. Do I put the tea straight on or should it be diluted? You can use full strength or dilute up to 1 gallon of tea to 20 gallons of water. Our dilution “sweet spot” is 1 gallon of tea to 5-10 gallons of water. Both. Studies are showing that there is great benefit from both. Foliar sprays help to keep down pests, while soil drenches help with plant nutrition and disease protection. After the tea is added, is it okay to use a pump to water the container plants? Or should I hand water instead? Using a pump to water with is fine. We use a Dirty Water Sump Pump. Are bacteria & fungi necessary? The set of microbes that come in commercial mixes like our Soil Life each perform specific plant-benefitting jobs. For instance, we know that one solubilizes silica, while another makes nitrogen available. The microbes that come from compost/casting tea are extremely diverse, some will not help plants directly, but are part of a healthy microbial community. Combining the two gives the best of both worlds - a diverse community of microbes, and a set of high-functioning microbes that perform unique and crucial jobs in the soil. The term mycorrhizae translate to fungus-root. These fungi develop very close relationships with plant roots. There are two main groups of mycorrhizal fungi. One type grows into the root cells (endo-mycorrhizae), while the other type grows only around the cells and not into them (ectomycorrhizal). The ectomycorrhizal fungi develop relationships with long lived trees. The endo-mycorrhizal fungi on the other hand, develop roots with some 80% of all plant species. Interestingly, brassicas (broccoli, Brussel sprouts, cauliflower, mustards) do not form any root-fungal relationship. Our Soil Life inoculant contains only endo-mycorrhizal species (Glomus sp.). I live in a really cold area; will the bacterial species and fungus adapt to our cold/freezing winter? Microbes can adapt to cold weather, though there will be some that fare better than others. Some may simply remain dormant until temperatures increase. What is powdery mildew, and does compost tea help get rid of it? Powdery mildew is one of the most widespread plant fungal diseases. It’s also the most identifiable, and almost no type of plant is immune. Although there are many different species of powdery mildew, the symptoms all look about the same from one to another. As bad as it looks, rarely is it fatal to the plant. Tea won’t cure it, but it will help to keep it at bay. Spray a mixture of 2-3 tablespoons of apple cider vinegar mixed with a gallon of water onto powdery mildew. Add tea once it’s gone as a preventative. Do you provide instructions on how to brew compost tea? Yes, we include an instruction card that gives you a run down on how to brew, along with recipes. The videos on composttealab.com and TeaLAB’s YouTube page are also helpful. Can the kits be used to make compost extract as well? Yes. Compost extract is simply a tea that has not been given any food sources (like fish or molasses). You can bubble compost, forgo the food, and then apply. Is it possible to make batches less than 30 gallons with this unit, say, 5, 10, or 15 gallons? You can certainly fill the brewer less, no problem. Is the brewer kit noisy when it runs? It’s not quiet. The bubbling water is loud. Placed inside a garage or in a shed, or just away from where anyone is sleeping would be ideal. Though, some think the sounds are quite soothing. I ordered the complete kit with bucket. It sure is sealed tight – how do I open it? You will find tabs on the rim of the lid. Pull that off and it will tear off a strip around the entire bucket lid. Then you can lift the edges of the lid one by one and it will come off. It’s a little bit of work, but it’s worth it! How do I clean the Bubble Snake? Take the Snake completely apart. Run water through the tubes with enough force to spill out of the small holes. If that’s not possible, use a paperclip to clean out the holes. Once a month, or as necessary, clean the Snake using a solution of bleach and water. What sets your aerators apart from other aerators? Our compost tea aerator, Bubble Snake, bubbles the water in such a way that the water is mixed extremely well. It is remarkably easy to clean and handle, a common problem with other aerators on the market. We proudly make each Bubble Snake by hand in Humboldt County, CA, USA. Is the Bubble Snake covered by warranty? Yes. 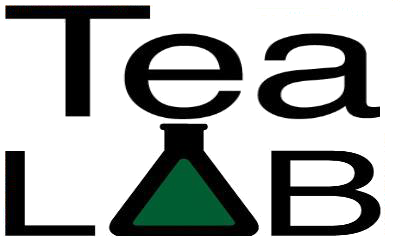 Tea LAB offers a lifetime warranty for product defects. Please note normal wear and tear is not covered. To file a claim please email help@composttealab.com. Who do I contact if there is a problem with the pump? You may call or email us with any pump issues. Do you have another "growth tea recipe" using the products on your site? We bubble that 24-48 hours, then pour that 5 gallons into our 50 gallons of base biology tea (made with our LifeCube compost blend and fish powder). Combining the two gives us the best of both worlds; a rich biological tea, and a feed tea that will have some biology that ideally mitigates nitrogen. We then use that mixture of teas to water with at a 1:10 dilution. You can vary the dilution based on your needs. No problem! Shoot us an email at help@composttealab.com, or call us at (707) 798-7275. We're happy to help you any way we can!